The wedding industry is big business — worth a staggering $72 billion in the US alone, according to IBISWorld. There, couples spend on average between $12,343 and $14,006 on just their venue (in many cases, a hotel). And then there’s the revenue coming from guests staying at the hotel, which, even with discounted room blocks, represents a profit to the property. 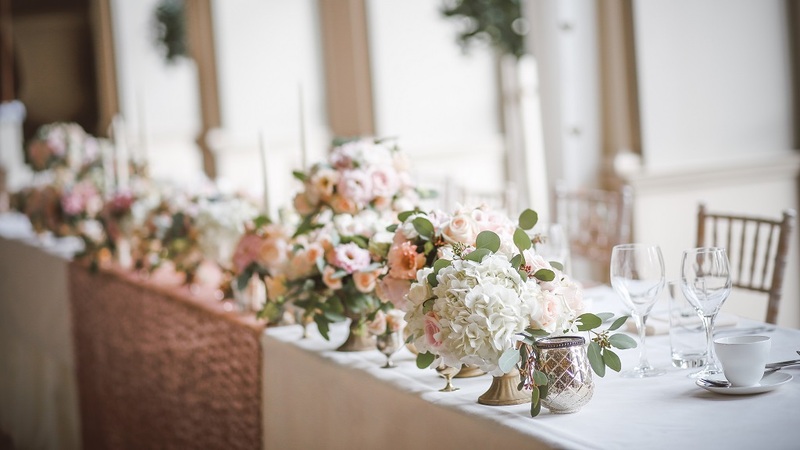 What is especially exciting about this lucrative niche market is that it’s no longer an exclusive one; even the smaller, independent properties now have a chance to break into the wedding hospitality industry. Interested? Here are five ways to make your hotel wedding friendly so you can boost profits and get your piece of the nuptial pie. Large hotels have been hosting weddings for decades, but the millennial generation is bringing about a shift in venue preferences. Young couples want personalized and unique celebrations, not a cookie-cutter banquet and hordes of guests. Smaller (read: intimate), non-traditional venues are in high demand now. And while some people still have big weddings, the average number of wedding guests has decreased, while budgets have increased. The focus now is on the small, quality details that make for a memorable event. Consider your hotel’s unique selling point. Maybe it’s the local farmers who supply your restaurant with fresh produce. It could be the history behind your hotel or the type of property it is. And what about the surroundings? Is there something special, romantic, or picturesque about the locale? Once you’ve identified it, flaunt your unique selling point on your website and social media channels so that engaged couples shopping for wedding venues will see it. And because wedding photos are nearly as important as the ceremony itself, include images to illustrate what a beautiful backdrop your hotel is. A picture is worth a thousand words. So it should be no surprise that high-quality photography can be your best marketing asset. If you want couples to consider your hotel for their wedding, show them it’s the perfect place to get married. When it comes to picturing the ideal setting for a wedding, the imagination is a powerful tool — but so is a professional-grade camera. Invite a photographer to do a wedding-themed photo shoot to capture the stunning beauty of your property’s event spaces. Be creative and feel free to include people and decorations in the shots. When they see this visual content on your website, metasearch profiles, and social media platforms, couples will feel more confident that your hotel might be just the idyllic venue they’re looking for. Your goal? Show the charm, reveal the romance, and make them fall in love with your venue. Your hotel will be more than just a pragmatic choice for a weary traveler or couple on the go; it will be an emotional, considered choice for a momentous occasion. And of course, be sure to feature these photos on trivago to show a world of travelers just how wedding friendly your property is. Log in or register for free on trivago Hotel Manager to upload photos to your profile. Every wedding is different, which means that the planning, style, and logistics differ considerably for each. To make your hotel wedding friendly, have several customizable wedding packages that incorporate all your offerings as much as possible. Some couples will have already booked their ceremony and reception venues by the time they find you online—but they can still fall in love with your hotel’s interior design or flower garden and want to have their wedding photos taken there. Offer a photo-only package that lets them rent the grounds for a few hours for this very purpose. Some couples may forgo a reception altogether but are still looking for a special place to stay after making it official. Let them know you have a premium suite for them, complete with romantic goodies for two. And then there’s the couple looking for the full package. They’ll need to know about everything—parking logistics, services provided, the number of rooms they can block off for their friends and relatives, whether there are in-house catering and spacious grounds for an outdoor ceremony, and what recommendations you have for out-of-town guests. Weddings are a lot of work and can be very stressful for those planning and executing the perfect event. Leverage your current assets to show how you can lighten the load and ease the stress. A complimentary breakfast will save the wedding party from having to go out and forage on their own. Spa facilities can help them unwind after the rehearsal dinner. And every extra little convenience counts: Is there an on-site chapel with a private room to the side where the bride can get ready? How about an in-suite fridge for keeping corsages and boutonnieres fresh during the warmer months? Highlight your offerings to show that you can meet a couple’s every wedding need—even those they didn’t know they had. We’ve all heard it before: A wedding is the most important day of a person’s life. Treat it like it is, and help make the day special by going above and beyond. The smallest gestures can make the biggest difference. Whether it’s with a complimentary bottle of wine and select chocolates or fresh flowers and a hand-written note in the couple’s rooms, acknowledge the importance of their big day in your own way. You’d be amazed by how few of your competitors do this. And trust me, couples notice. And they often take to social media and review sites to share their experience, especially this digital-savvy generation. So be proactive and strategic. Chances are good that they’ll speak of these thoughtful gestures to their wedding parties, parents, and the whole world. It may just be the best advertising you ever receive. And it’s free. Is your hotel wedding friendly? If so, let readers know by sharing your tips and comments below. Article originally published April 2016; revised and republished April 2018.